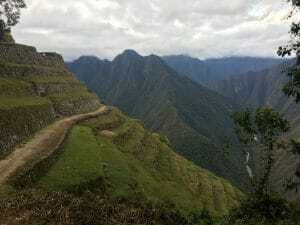 The Choquequirao trek to Machu Picchu is trek over 7 days. The Choquequirao trek to Machu Picchu is for the adventurous trekker. We recommend this trek for the experienced trekker or person in excellent physical shape, used to hiking long distances on a regular basis. Trekking this trail shows you the ingenuity of the Inca’s and the Quechua people who made these special and challenging Inca trails. 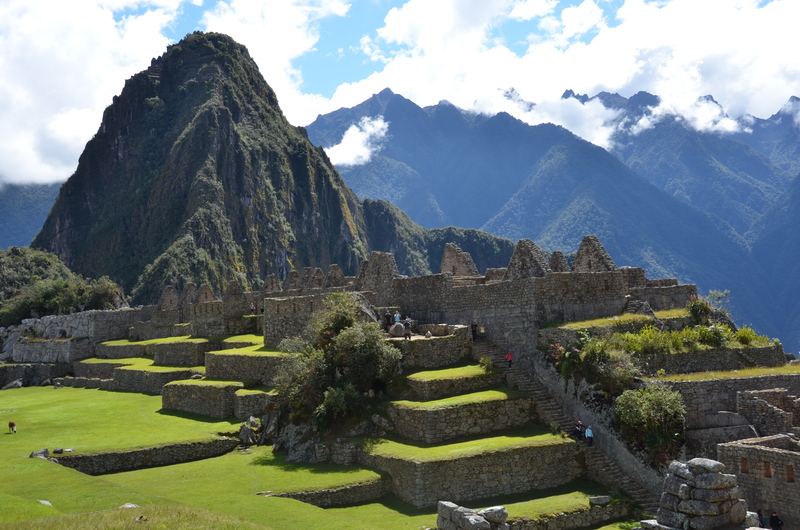 Check out our upcoming trips and Top 10 Tips for a successful and enjoyable Inca trail trek to Machu Picchu. Read our training information. This Inca Trail to Machu Picchu is truly amazing. We start this trek in Capuliyoc, situated on the edge of the Apurimac Canyon and surrounded by impressive snow capped peaks. 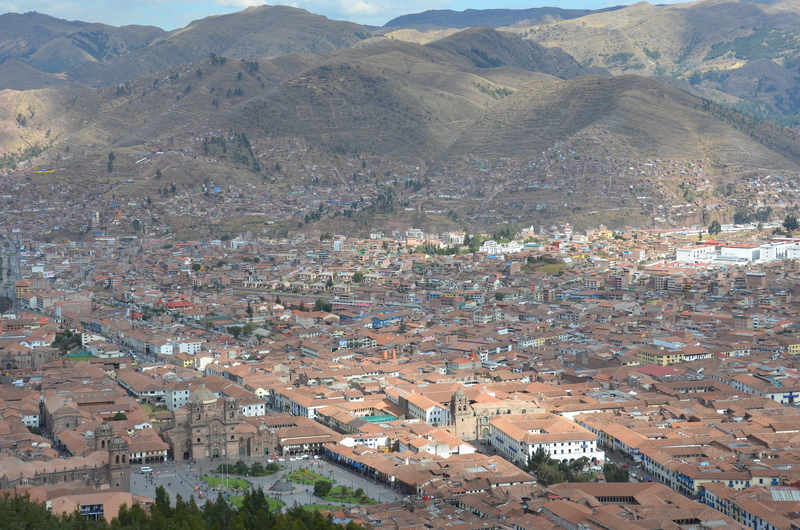 you will be a couple of thousand meters lower than Cusco. The Positioning of Machu Picchu and the incredible way the Inca’s re-enforced the mountain below the city from possible earthquakes, hand carved each structure, managed to cultivate crops, redirect water and positioned the city out of reach of invaders is truly remarkable. The journey to Machu Picchu will leave you inspired with true admiration for the incredible Quechua people who ran and build these trails over 500 years ago. 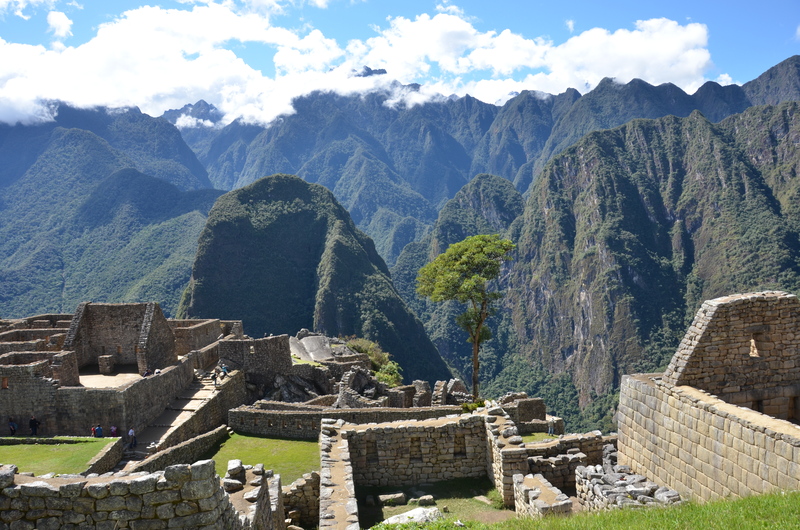 On this Inca Trail you will be off the beaten path, hiking over some stunning passes. 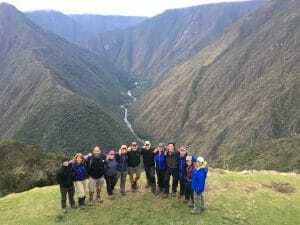 The total distance of the Choquequirao trek to Machu Picchu is approximately 46.6 miles/ 75 kilometers. Departing Cusco you head west to Capuliyoc which is further out than the Salkantay trek and a long way from Ollantaytambo and the start of the traditional Inca Trail to Machu Picchu. On the second day of the trek you will arrive at the world famous Choquequirao Archeological site at 3,110m/ 10,120 feet. The Choquequirao site is an Incan site in southern Peru, similar in structure and architecture to Machu Picchu. 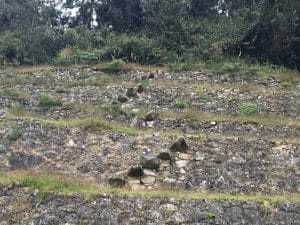 The ruins are buildings and terraces at levels above and below Sunch’u Pata, the truncated hill top. Here are 20 reasons to pick us for your Inca trail trek. The Choquequirao Trek to Machu Picchu is a 15th and 16th century settlement associated with the Incan Empire. The site had two major growth stages. 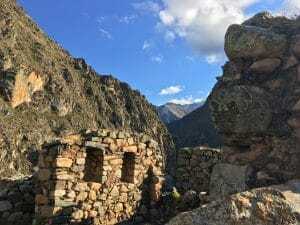 Choquequirao is located in the area considered to be Pachacuti’s estate; which includes the areas around the rivers Amaybamba, Urabamba,Vilcabamba, Victos and Apurimac. This Incan treasure should be on your list of Inca sites to visit while you are in Peru. In additional to visiting Choquequirao site you will visit the world heritage site and lost city of the Inca’s Machu Picchu. On the final day, we will rise early at 5am and take a bus up to the entrance to Machu Picchu and do a full city tour and explore the wonders of this breathtaking city. Check out our traditional Inca trail trek to Machu Picchu. You would need to book this trek at least 6 months in advance. We are available 5 days a week in support of your training, preparation and answering any questions you may have. Ian has climbed Everest the top, climbed Kilimanjaro 19 times and lead numerous treks on the Inca trail to Machu Picchu. We have the experience and expertise to help you prepare and fully enjoy your Inca trail experience. On signing up we send out our 35 page dossier on the trek with full information and details of undertaking this adventure. The cost of this trek starts at $2,600. Why not climb Huayna Picchu overlooking the lost city of Machu Picchu, giving you a different perspective of this wondrous place. This climb needs to be booked along side your Inca trail booking. Check out our up coming treks. Arrive in Cusco, Peru where you will be picked up from the airport and transferred to a comfortable hotel. You are free to do some sight seeing in this unique and magical city. 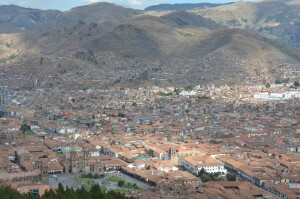 After you have settled in at your hotel go out and tour the City of Cusco. The afternoon is free to rest, acclimatize, and sight see around Cusco. However, we strongly urge you to take it easy, go for a walk and drink plenty of water, as Cusco sits at 3,400m/ 11,152 feet above sea level and you are at high altitude with 30% less oxygen than sea level. You will need to stay well hydrated. Today we leave Cusco at 6am after breakfast. 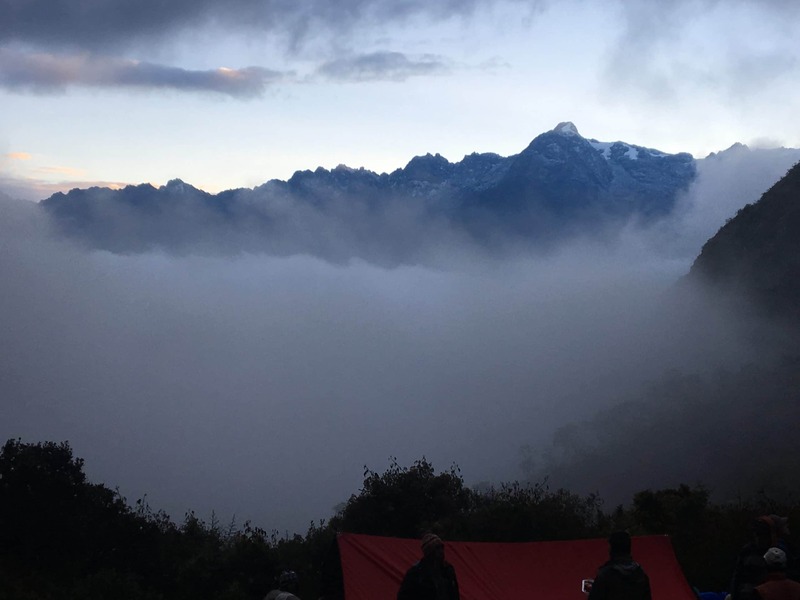 We will head out in a private van for a 4 hour drive to Capuliyoc, situated on the edge of the Apurimac Canyon and surrounded by impressive snow capped peaks. We will then hike down for 2 hours until we arrive at Chikiska where we have lunch. Afterwards we continue our hike for 1 more hour to Playa Rosalinas 1,550m/ 5,084 feet, where we will spend the night. We will be camping through the whole trek. Today’s hike is 7.5 miles/ 12 km. We will be departing early in the morning, we ascend to Santa Rosa and to Maranpata where we will have lunch. The climb from the river takes about 4 hours and is tough. From our lunch spot we can see the remains of Choquequirao. Then we have 2 more hours of hiking to reach the Choquequirao Archeological site at 3,110m/ 10,120 feet. We spend the evening there and get to watch the sunset and some condors flying. The distance on the today’s hike will be 8 miles/ 13 km. After breakfast it is possible to explore more of the Choquequirao Archeological site and have a little rest before lunch. In the afternoon we will climb over a ridge and hike to the remains of Pinchinuyoc where we will camp for the night. (2 hours of hiking down) This is definately the easiest day of the whole trip. We will hike 6.2 miles/ 10 Kilometers today. We leave at 7am, and walk uphill for about 3 hours through a jungle towards the Victoria mines. We will visit them as well as some Inca ruins before climbing 1 hour more to the pass of Victoria 4,130m/ 13,546 feet. There are spectacular views from the pass as we descend to the charming village of Yanama(about 2 hours walking) following a section with some well constructed Inca Steps. Once we get to Yanama, we take the local transport all the way to Lucmabamba. Along the way, we get to enjoy the gorgeous views of snow capped mountains and waterfalls. We will hike 7.5 miles/ 12 km today. On this day we walk for 3 hours by the original Inca trail and through the cloud forest to the Puncuyoc pass then onto Llactapata Inca remains, an Inca site 2,700m/8,907 feet, which is located straight in front of the Citadel of Machu Picchu. 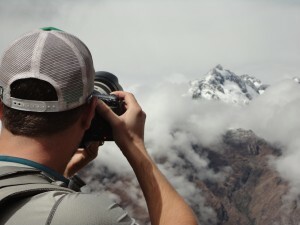 Once there, we enjoy the unique perspective of Machu Picchu from far away. Then we hike downhill for 2 hours to the hydroelectric plant where we have lunch. We continue to walk to Aguas Calientes through the National Sanctuary of Machu Picchu, enjoying the surroundings of the iconic Machu Picchu and the wall which surrounds the Inca Citadel. This is an 11.2 mile/ 18 km hike today. We will have breakfast at 5am and take the first bus to Machu Picchu, just in time for sunrise. It will take half an hour to reach the Machu Picchu archeological site, one of the 7 wonders of the world and UNESCO world cultural Heritage site: an unforgettable experience you will never forget. Your guide will expertly direct you through the astounding vestiges and its main streets. After the guided tour, you will have some free time to wander around the lost city of the Inca’s and immerse yourself in this magnificent place. You can also climb Huayna Picchu and appreciate the beauty and magnificence of Machu Picchu from this mighty summit. 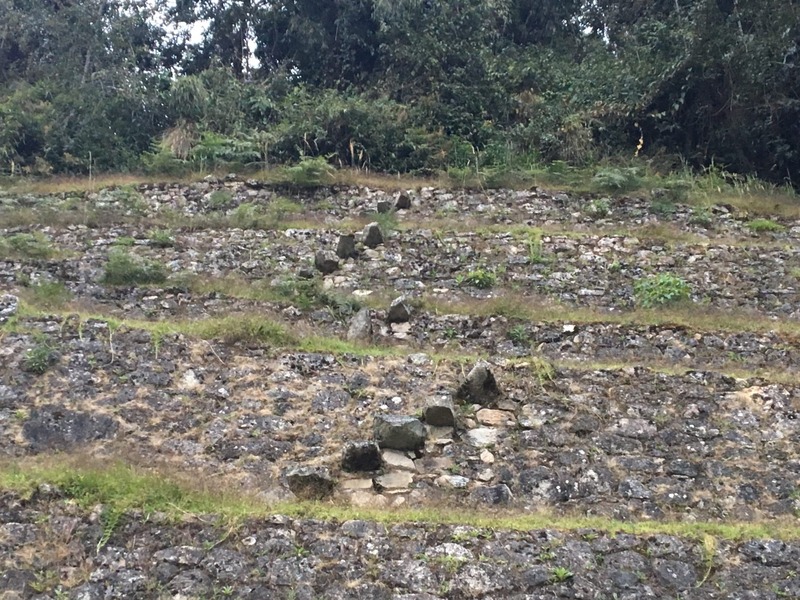 There is also the option to climb Machu Picchu mountain from there, walk to the sun gate or Inti Punku or visit the new local museum or the hot springs in Aguas Calientes later in the day. When you are done in Machu Picchu you can descend to Aguas Calientes, enjoy a leisurely lunch, and at 4:22pm you will board the train for your return trip to Cusco. Aiming to be back by 9pm. You will be picked up from your hotel in Cusco depending on your flight time. Usually 3 hours before your scheduled flight time. We will drive you back to the airport in order to take your flight or onward journey. There are options to join a tour to the Amazon, lake Titicaca and other treasures Peru has to offer. Does The Choquequirao trek on the Inca trail to Machu Picchu excite you to take the next step towards achieving your goals in the mountains? If so, get in touch today. We pride ourselves on making sure that our clients have every opportunity to succeed on the mountains, including professional training advice, gear lists and video links on how to pack your bag, and much more. We are always available to answer any questions you may have by email, phone or skype, so contact us today!